“This is the highest (or lowest) that I’ve ever seen the lake.” Really? Based on what? Water levels fluctuate at all lakes and can adversely affect lake shore development, recreation use, as well as the many lake shore creature living in the riparian zone. It’s important to document our lake levels on a regular basis to create a permanent public record. 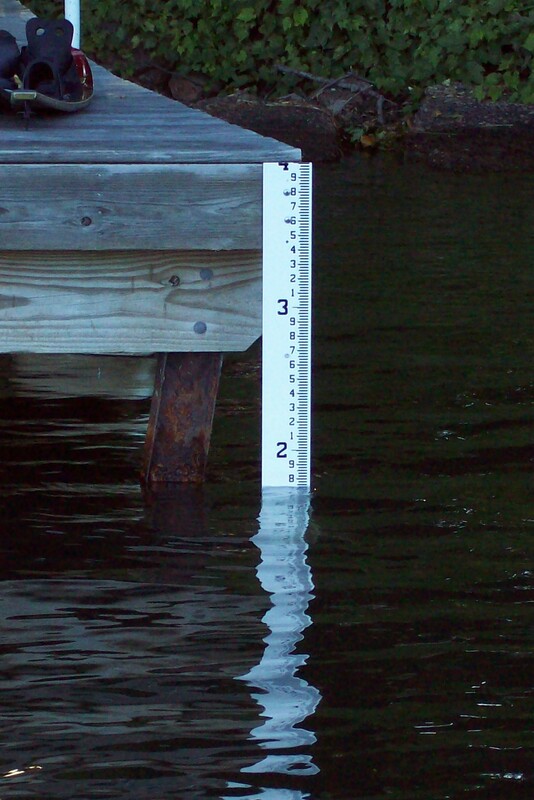 Lake level impacts on property are useful information for property owners to know. The lake now has a water level marker installed at Tremaine Finch’s dock. Thanks Tremaine. We started monitoring late August last year and that first level is now the reference point for all future measurements. 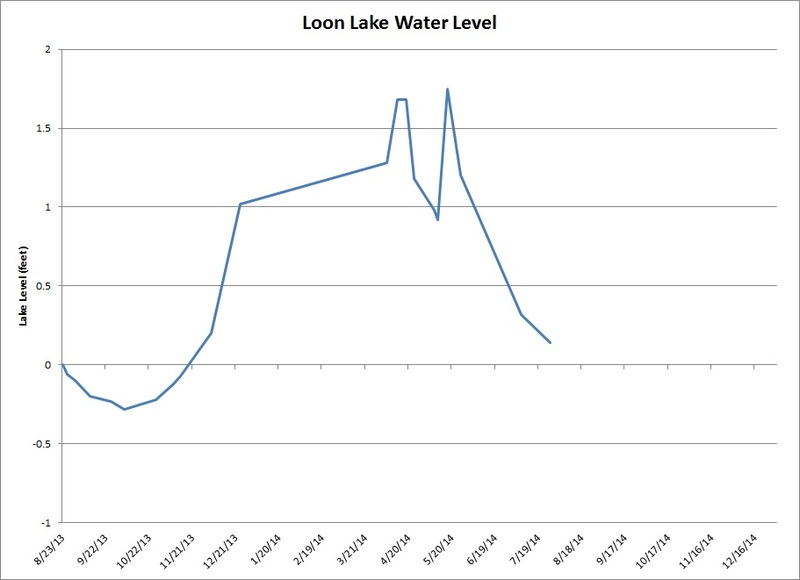 Because the lake is relatively small and the level easily affected by heavy rainfall or hot sunny days (evaporation), the lake level data is a bit noisy. However, we would expect it to smooth out as we collect more data over the years.